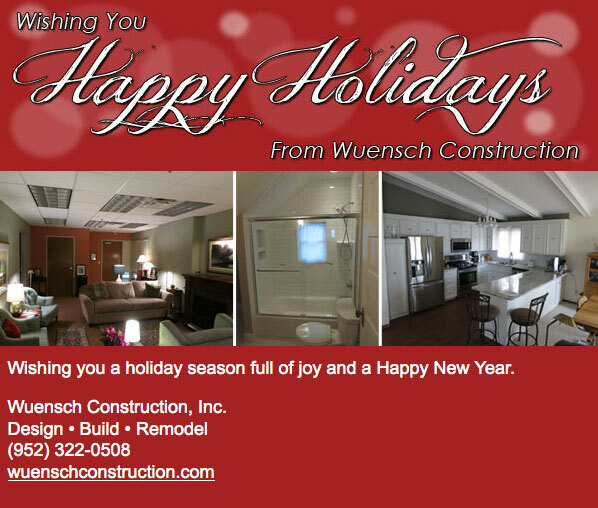 Posted on February 11, 2013 by Wuensch Construction Inc. This client in Minneapolis called Wuensch Construction to get advice on how to have a more open floor plan on the first floor and to finish off there basement. Wuensch Construction came up with a design for both area’s that the client liked so much they hired us to do the work. First the main floor plan (House Remodeling) had a dining room enclosed with wall that supported the existing ceiling and roof trusses. We came up with a plan to remove the supporting wall and replace it with a blind header into the existing ceiling. We removed the walls area the existing stair case and installed new railing around it. We also removed the existing window and replaced it with a new patio door for more light and access to the back yard. We match the existing race track ceiling so it would flow thru the existing house. Second we came with a plan to finish off the existing un-finish basement (Basement Remodeling). We work around the existing wood burning masonry fireplace. We installed 2 new egress windows, one in the bedroom which they use as an office and one in the rec room. We waterproofed all existing block walls and then framed a 2×4 wall in front of existing block wall. Insulated the new 2×4 walls with R-13 Insulation for warmer basement. Then we removed existing steel dropped beam and replaced it with a new blind header in the first floor joists system. Sheetrock all the new walls and ceiling. Match the ceiling with the existing smooth ceilings throughout the house. We recessed the existing breaker box into the new wall with a door for access. We removed 3/4 of the stair wall so we could install new railing to match the up stairs railing and give it a more open feeling as you came down the stairs. Hopefully this will help to give you some remodeling idea’s for your house or basement.